St. Tammany Linen Inc. has been taking care of linens for the finest hotels and restaurants in the New Orleans area for the past 25 years. 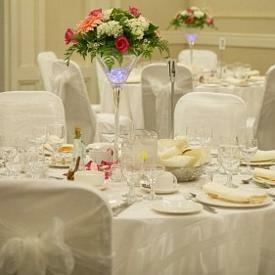 We have developed a reputation for quality service by providing prompt, attentive service and great linens. All of our linens are cleaned and processed at our local facility in Mandeville, LA. Our linens are professionally cleaned and individually inspected by our well trained staff. Linens are then carefully wrapped for shipment.